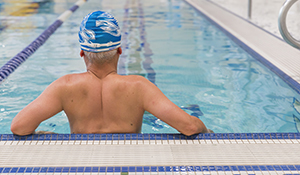 The Dale Turner Family YMCA is a thriving hub for the cities and communities to the north of Seattle. This branch was named for the late Rev. Dale Turner, a Seattle Times columnist, church leader, and board member of the YMCA. Reverend Turner made a lifelong commitment to building community by joining people of all backgrounds. Our staff honors that legacy by creating a culture of respect and engagement, and by continuing to find new ways to serve our diverse member community. 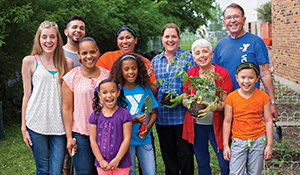 The Dale Turner Family Branch of the YMCA of Greater Seattle serves north King and south Snohomish Counties, including the cities of Shoreline, Lynnwood, and Edmonds, as well as the Lake Forest Park and Woodway neighborhoods of Seattle. We take pride in being responsive to the unique needs of our growing community and in helping raise up every person who lives here. Our on-site and outreach programs include free meals, support for homeless and transitional members, child care and school readiness, youth development, family activities, chronic disease prevention, summer meal programs, and much, much more. At the Dale Turner Family YMCA, our staff make all the difference. Our staff have a strong commitment to serving community. They focus their energy on helping constituents of this community.